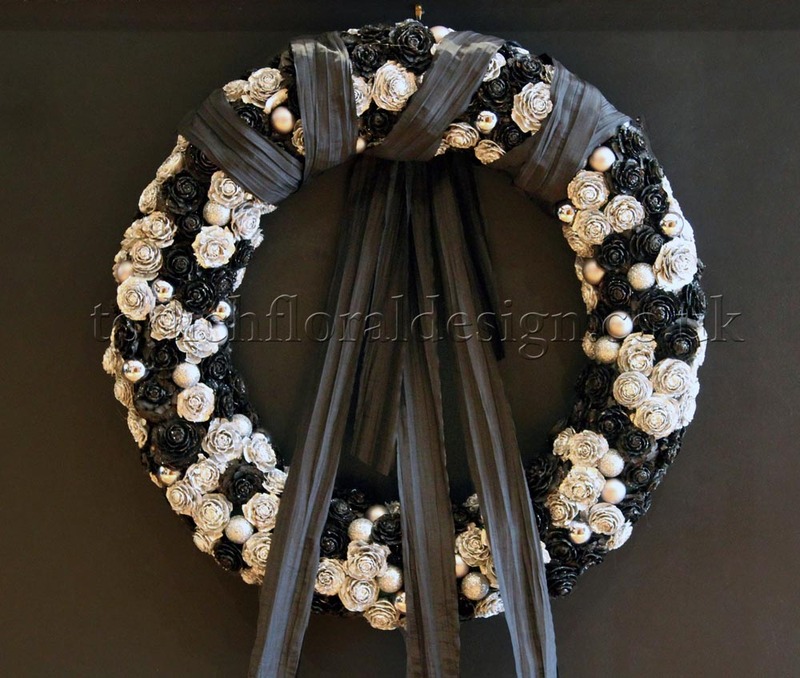 TFD » Blog » Posts tagged "Christmas flowers"
As the nights get colder and we swap autumn T-shirts for thick winter wears, the countdown begins for one of the most popular festive seasons, Christmas. Christmas, is a time of intimate Traditionals, celebrations in the home and time spent with loved ones. 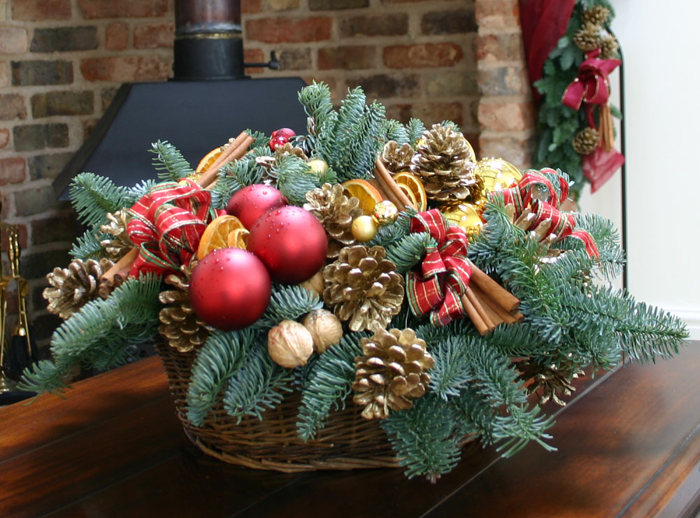 Sending flowers at Christmas is a beautiful gesture, a great way to celebrate the season and Christmas flowers and plants go a long way in enhancing this experience. At Todich Floral Design we just loved experimenting with new materials and styles, offering a twist on traditional floral fashion as well as bringing you a wide range of traditional Christmas flowers and plants to choose from. Christmas, a blissful season reminiscent of cosy nights in by the fire, and the suspense of waiting to open presents under the tree, comes with a number of age old traditions and tales related to traditional Christmas flowers and plants. Christmas provides the perfect opportunity to get creative, whether it’s decorating the home or installing corporate flowers to bring plenty of cheer to the office. Holly. This season’s traditional colours of green and red stem from the native Christmas Holly plant. A symbol of a man, Holly was actually used to decorate the home, and surprisingly, traditionally created long before the Christianity. 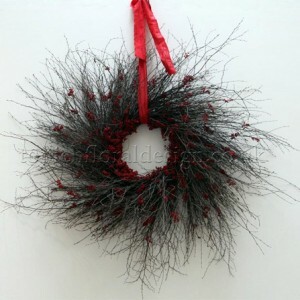 Holly makes spectacular Christmas decorations along and go a long way into completing Christmas flower arrangements. Mistletoe. Another of many Christmas flowers, mistletoe, a parasitic green and white plant, is an integral part of a fun pre-Christmas tradition. Often placed in a high place, usually above a door, two people are encouraged to kiss, if stood under it at the same time. Other than playing an interesting role, mistletoe also makes fantastic Christmas plants to decorate the home with and shine within Christmas flower arrangements. Ivy. A symbol of women, Ivy is strongly linked to Christmas and creates a magnificent centrepiece when combined with holly. Tradition has it, Ivy is said to bring great luck and happiness to relationships. In addition, Ivy represents a number of things, symbolising true love, undying affection and eternity, making it a fitting flower for a loved one. The Christmas Rose. A truly English flower, and universal symbol of love, the Christmas rose is traditionally red. Christmas roses are associated with the story of the shepherds who saw three wise men taking their gifts to baby Jesus. The shepherds had no gift to offer until an angel appeared and pushed aside some snow to reveal an exquisite red rose. 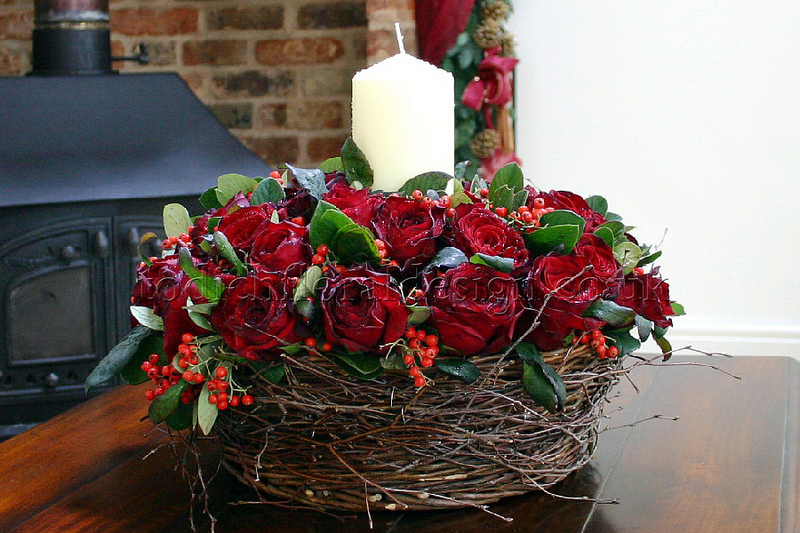 Roses make striking centrepieces, decorates the home beautifully or as gifts for loved ones. Poinsettia. Renowned for bursting into flower at Christmas, Poinsettia is beautiful traditional Christmas flowering plant, grown for vibrant coloured bracts. It’s cheery foliage in hues of red and green and distinct shape make it fitting flowers to decorate the home with at Christmas or make spectacular window displays for an office or restaurant. If you’re looking for inspiration for your home this Christmas, take a look at corporate florist Todich Floral Design’s, a range of exquisite Christmas centrepieces, Christmas flower arrangements and beautiful seasonal plants and flowers sure to brighten your home. 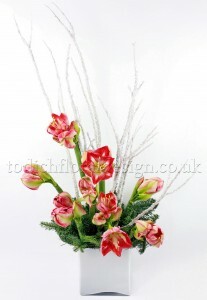 Amaryllis, or Hippeastrum to quote their correct name, are very popular Christmas gifts in the UK. Event florist Todich Floral Design sends many of these Christmas flowers to clients in London at this time of the year. With their tall height, thick, straight stems and multiple, lily-like flower heads, they are instantly eye-catching in their own right as Christmas floral decorations and are most often sold as simple potted plants. 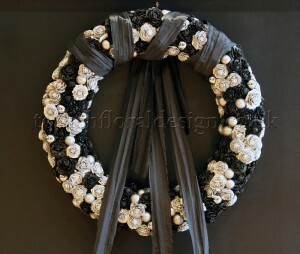 But they also look wonderful in a range of different floral designs. A bulbous plant, hippeastrum usually first appear in UK shops, florists and flower markets around September and are mostly bought and sold in pots as they grow and flower well indoors. They are available in a variety of colours well in to March as a cut flower and if bought in bulb form normally take about six to eight weeks to appear. So if you, like us, love this flower and fancy having a go at creating your own alternative Christmas floral displays with them at home, below are some ideas for festive designs we love. Hippeastrum is a genus of about 90 species of bulbous plants in the Amaryllidaceae family and is native to the tropical and subtropical regions of Central and South America, from Argentina, north up through Mexico and the Caribbean. Ideally you should have planted them by now if you were hoping to appreciate their wonderfully striking blooms at your Christmas table, but the plus is that if you’ve missed this deadline, you can plant them in the New Year to enjoy them well in to Spring. Todich Floral Design is a luxury London florist specialising in event flowers, including Christmas flowers delivery and Christmas decorations. 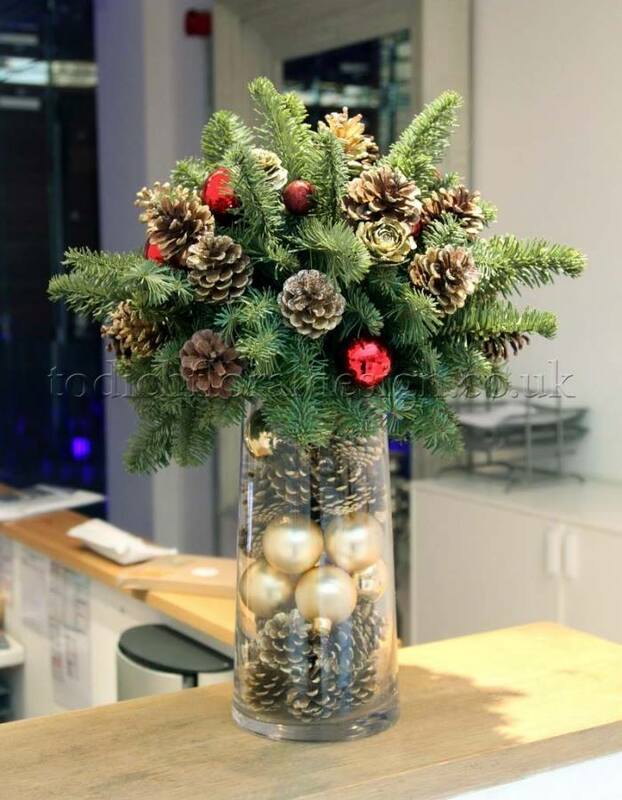 The company also offers a competitively priced service for office flowers and contracts, including real Christmas tree delivery and decorated Christmas tree delivery within London and the UK. Contact Todich Floral Design today to arrange a meeting and quote.